It's time to turn our thoughts to Cranberry Sauce. That essential condiment to save your overcooked turkey breasts. 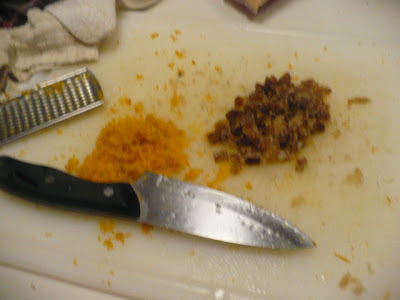 Place the juice, ginger, zest, along with 1 1/2 cups loosepack brown sugar in a non-reactive heavy saucepan. 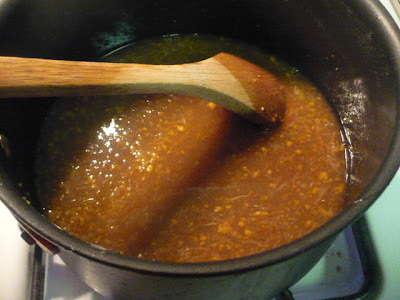 Stirring constantly over a medium flame with a wooden spoon, dissolve all the sugar until the mixture is smooth, glossy, and hot. 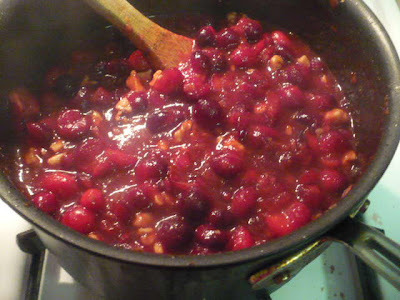 Add in 4 cups of fresh cranberries, and here, just because I have them on hand I tossed in 1 cup of pomegranate seeds too boot. 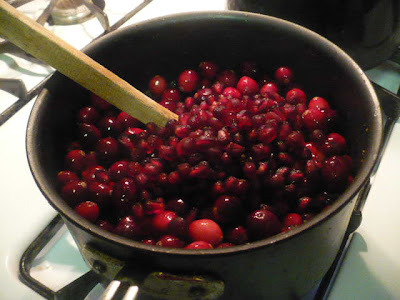 Bring the heat to high, stirring constantly boil until all the cranberries have burst and the mixture begins to thicken. Stir in 1 cup of dry pan toasted pecans or walnuts, chop them after toasting. 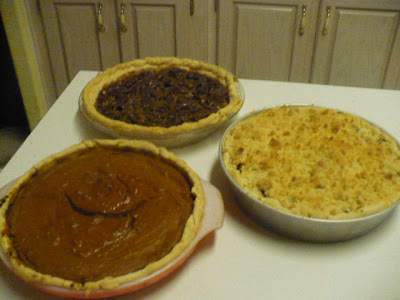 Cool in the pan, transfer to an airtight container and refrigerate. Not only is this a delicious side for fowl and venison, it is absolute heaven on a toasted bagel, with cream cheese.